Flint Public Art Project (FPAP) is an ambitious attack on the actual and imagined cultural and economic distress in Flint, Michigan. FPAP founder Stephen Zacks (a Flint native and now Brooklyn-based writer) invites architects, artists, thinkers, and activists from around the world to collaborate with local talent and organizations, resulting in participatory cultural events, public art installations, and demonstration projects of urban revitalization or branding strategies. 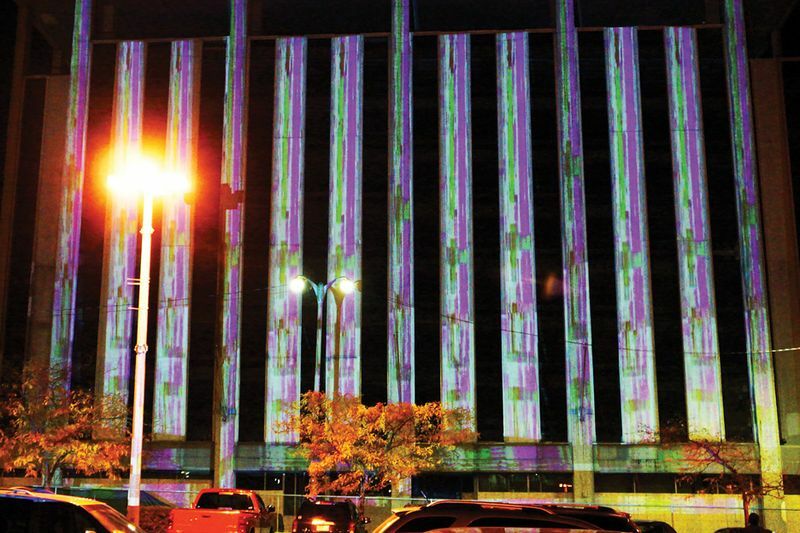 Recently realized projects include Alex Gilliam’s Tiny WPA, a chairbomb developed with local teens that easily bolts to bus signposts, and a large-scale video projection by VJ Kero on Genesse Towers, Flint’s tallest building, now entirely vacant (pictured). Recently, FPAP launched the Flat Lot Competition, a collaboration with the Flint AIA chapter, awarding $25,000 to London studio Two Islands to create a temporary pavilion for events and programs, scheduled for summer 2013.